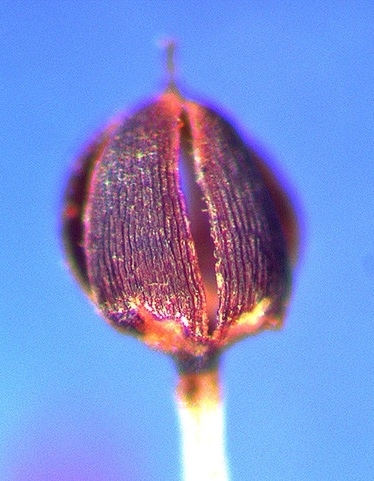 When the operculum lid of the capsule is shed the spores are able to be released. The rim of the mouth may be smooth or may contain peristome teeth which are collectively as the peristome (peri, around + stoma, mouth). 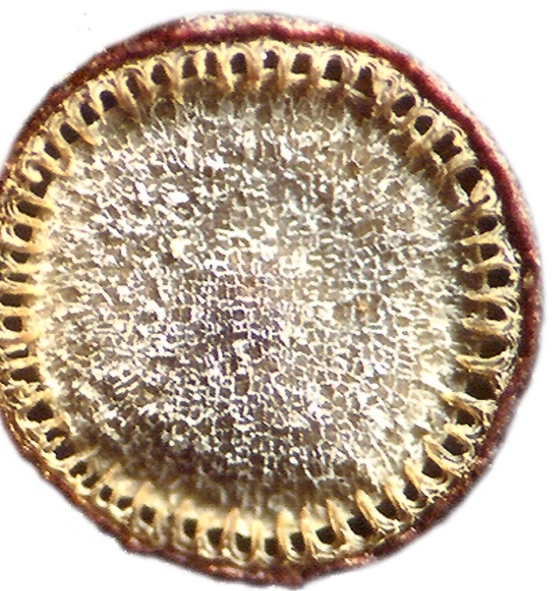 Dicranoloma robustum - The operculum lid (right) has been removed exposing the peristome at the capsule mouth (left). See Find by genus page for more on this genus. 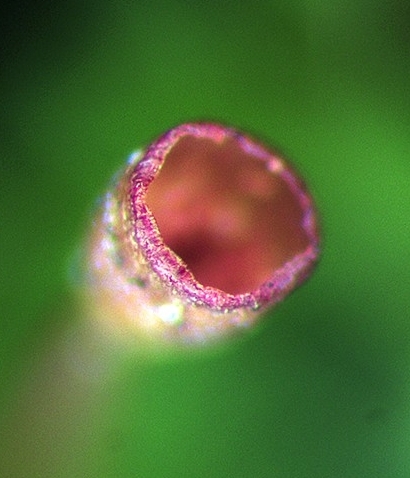 Orthorrhynchium elegans - The operculum is partially shed exposing the peristome teeth and spores. Peristome teeth move backward and forward in response to changes in humidity assisting in spore release from the capsule. Plagiomnium novae-zealandiae -When humidity is high, the peristome teeth more inward and close over the capsule mouth. 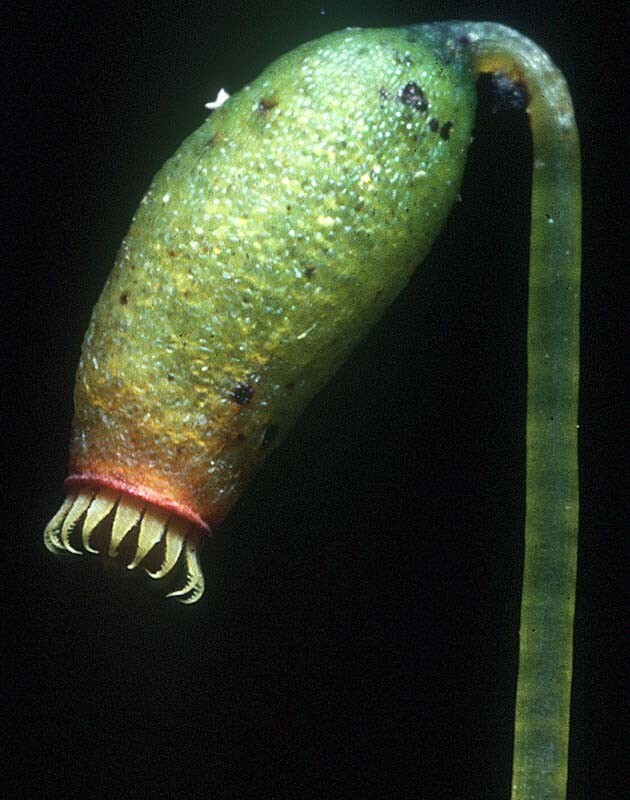 Plagiomnium novae-zealandiae - When the humidity is low, the peristome teeth move outward, opening the capsule mouth. The water content in the microenvironment around a capsule is continually changing because of air currents and changes in light intensity and temperature so that the peristome teeth are constantly moving. 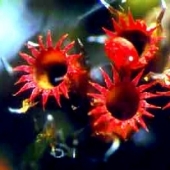 The majority of mosses have a peristome consisting of a singe or a double ring of teeth. The capsule mouth of some species lack peristome teeth all together. 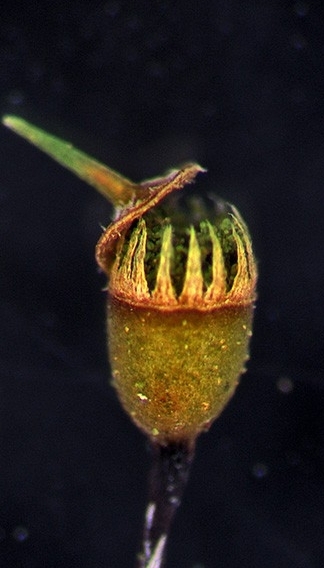 One group of mosses lack a terminal operculum and open by the capsule splitting lengthwise. 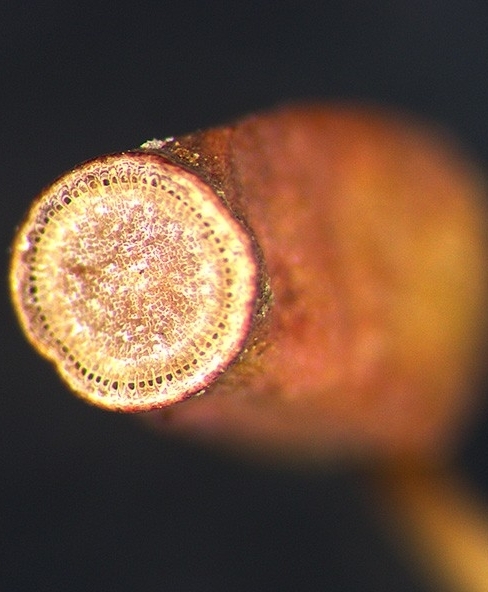 Schistidium apocarpum - Some mosses have a single row of peristome teeth. 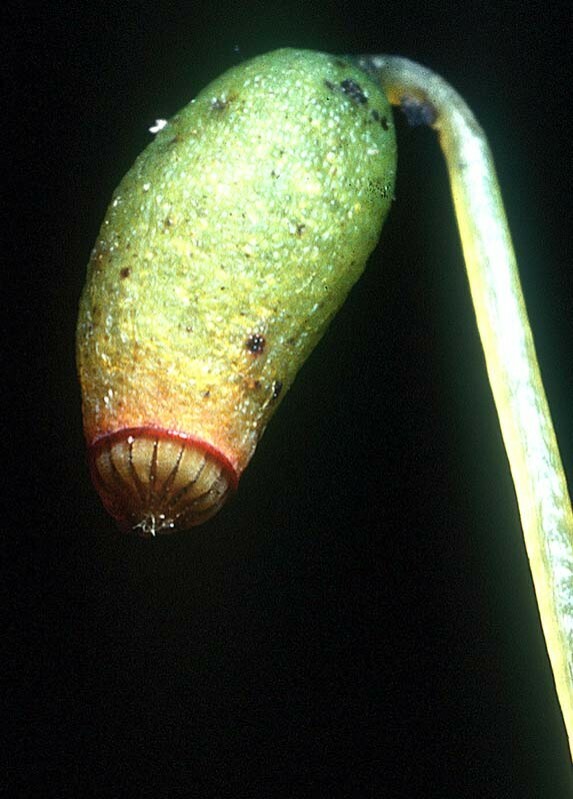 Tortula truncata - The capsule of this moss opens to expose a mouth with no peristome teeth. See Find by Genus page for this group of mosses. Amblystegium australe - Many mosses have a double row of peristome teeth. Andreaea species- The capsule of this group of mosses is unique in that it lacks a capsule operculum lid. Release of spores is accomplished by splitting lengthwise down its sides. The structure of the peristome teeth of many mosses is very complex. 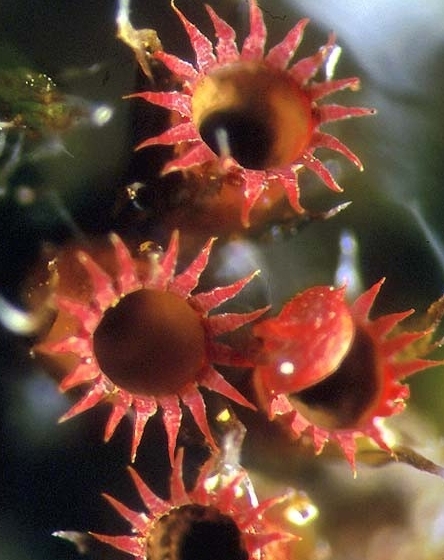 Funaria hygrometrica -The peristome of this moss is unusual in that the outer ring of peristome teeth are joined onto a small disc a their tips. As the teeth dry and then remoisten, their movements carry the disc up and down. Funaria hygrometrica - The ladder-lilke thickenings of the peristome teeth are sensitive to changes in humidity. 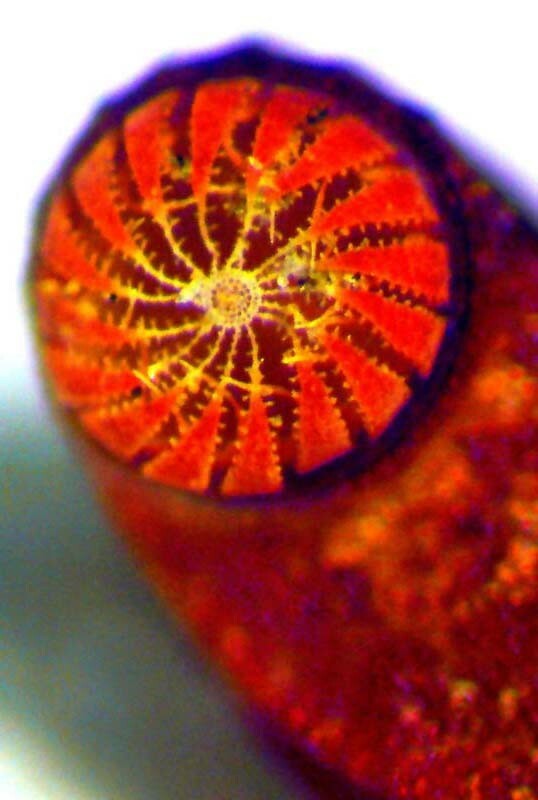 Polytrichadelphus magellanicus - When the capsule lid (operculum) is shed, the capsule mouth is seen to be covered by a membrane. 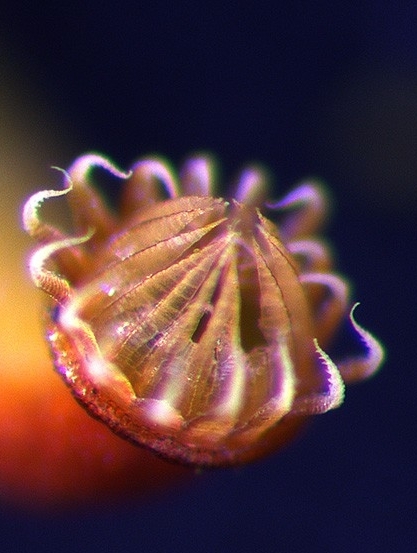 Polytrichadelphus magellanicus - The membrane is attached to the wall of the capsule by a ring of short peristome teeth. Pores between the teeth allow the spores escape.